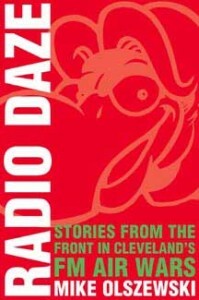 DescriptionEssentially the story of WMMS, Radio Daze captures the radio scene during the ’70s and ’80s, chronicling how this small FM rock station became the top-rated station in Northeast Ohio and made Cleveland one of the most important radio markets in the world. 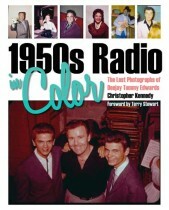 Mike Olszewski obtained exclusive interviews with many radio legends, revealing how insidious and destructive the battle for radio dominance became. Among other things, he exposes the story behind the reports of ballot box stuffing by WMMS to win the prestigious Rolling Stone magazine Readers’ Poll for best radio station in the country and some of the dirty tricks played by radio stations to get the edge on their competitors. AuthorMike Olszewski is a veteran radio personality best known for his work at the legendary WMMS-FM. He is an educator teaching a wide range of media, speech and communications classes at Kent State University, the University of Akron and Notre Dame College. Mike is also the curator and archivist for the Ohio Broadcast Archive and Museum, a statewide project at the University of Akron documenting the history of Ohio’s radio and television.